The story of the fiscal irresponsibility of the University of Louisville Foundation carries on a year into the tale. The issue now is the almost $4.3 million the president earned in just 27 days—that’s $159,000 a day—before he resigned in the beginning of the 2017 fiscal year. The faculty and staff are beginning to show the fatigue of a long-running story of misbehavior and would like to move on. However, the millions of dollars involved suggest that there will be no quick relief for the university community. James R. Ramsey was president of both the U of L and the foundation for almost 14 years and resigned both posts when a forensic audit revealed financial abuses. He left with enough money to qualify him as the highest paid public college president that year. The foundation board has since changed its by-laws to prevent this conflict of interest and preclude the university president from leading the foundation at the same time. Eighty percent of the amount booked for Ramsey was deferred compensation. Deferred compensation is often used to lure talent to lead organizations, by offering money that can be paid at a later date; it does not have to be paid up front. That example of non-qualifying deferred compensation can be offered to a select employee or employees, unlike qualifying retirement plans, which must be offered to all staff. Ramsey’s foundation agreement required the deferred compensation to be paid annually and held in the foundation’s bank account. Yearly deferred compensation does not allow for a vesting period and challenges the definition of deferred. It has become a poor decision—a liability of $8.5 million. When the former president and his staff left, they demanded to be paid all of their deferred dollars, draining it from the foundation’s account. That money had to come from somewhere; when it was deducted from the U of L Foundation, it took millions of dollars from scholarships and programs for students and faculty. These actions compound the financial abuse suffered by the foundation and the university during the former administrators’ tenure. The Chronicle of Higher Education has published a list of the highest-paid university presidents. The deferred compensation pushed Ramsey to the highest spot by almost $2.5 million over the next highest, Jay Gogue, president of Auburn University. Ramsey’s compensation is also the second-largest ever given to a public university president, surpassed by the $5.03 million final package received by the current president of West Virginia University, E. Gordon Gee, when he left Ohio State in 2013. 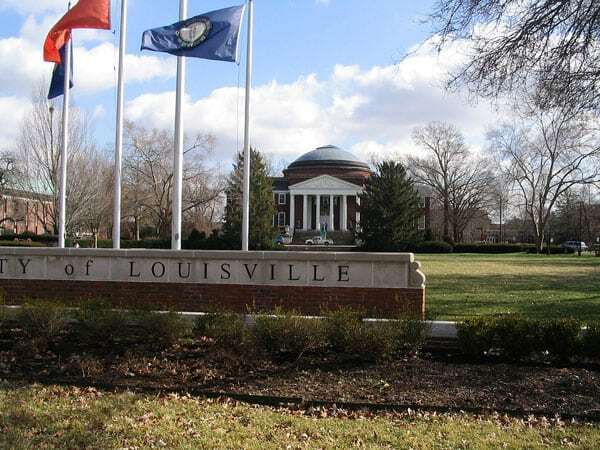 As the Louisville Courier-Journal reported back in May, a study commissioned by the University of Louisville Foundation found that over a period of seven years, the Foundation paid Ramsey $3 million more than the board considered reasonable. Meanwhile, years of deferred compensation have become today’s misery at the foundation.